Welcome to Noah's Ark Rescue, we are a small independent rescue based in Gloucestershire. The rescue was set-up after we received numerous requests to help homeless or abandoned animals through our pet care business. 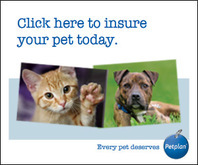 We are fully insured and have over twenty years experience in dealing with animals of all shapes and sizes. We are here to help the animals that would struggle in larger Animal Welfare Organisations. Some animals have health or behaviour issues that require a more specialist level of care. We can offer that, and then find them loving forever homes, ensuring all are neutered (health permitting) vaccinated and micro-chipped. We can transport sick or injured wildlife to a local wildlife hospital, if you are concerned about young birds please follow the RSPB's advice by clicking the link. We do not have kennels or a centre, we try to place pets from home to home, we'll try to place in a foster home, if available or private boarding kennels if funds are available. We work from home, please remember this if you are looking to adopt a pet, do not just turn up, please contact us to make an appointment. All potential homes will be vetted by ourselves or an experienced volunteer, and we will provide life long backup to any animal we re-home.